Sony Pictures Networks India (SPN) has become the the broadcast partner for the inaugural edition of Nexa P1 Powerboat, Indian Grand Prix of the Seas. It is the global series in powerboat racing being launched from India by Procam International, the country’s leading sports management company. 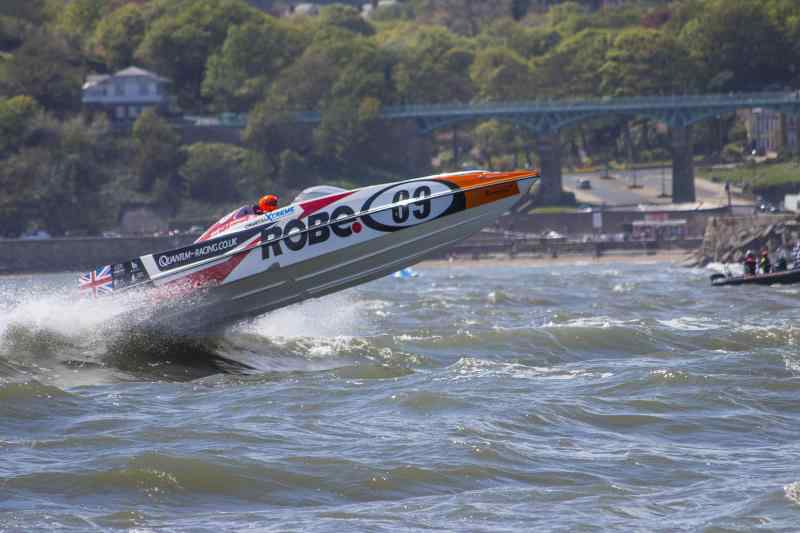 This will be the first time in the world that powerboat racing will be telecast live. In addition, in a first-of-its-kind across all sports, fans will experience a “second screen”, which will provide personalized content that will elevate the race experience to a whole new level for viewers. SPN will bring home to millions of fans the thrilling action from the shores of Mumbai’s natural amphitheatre, Marine Drive, during the race weekend. The telecast repertoire includes 9 hours of Live programming on Sony ESPN, Sony ESPN HD, Sony PIX, and Sony PIX HD channels starting March 3 until March 5, 2017. The live telecast will run for three hours daily, from 2 pm to 5 pm. Seeding a global sport from India, the Nexa P1 Powerboat, Indian Grand Prix of the Seas, will set a global benchmark for the telecast of the sport and the entertainment around it. The production will also be the result of synergies between global, hi-tech crew and equipment flown in from 3 continents. Another global first for the sport is the introduction of the ‘second screen’, a gamified graphics interface to be followed live on an internet-connected device for real-time access to gamified positions, telemetric race data & analytics in addition to the television broadcast. Torchbearers of the distance running revolution in the country, anchored by the Mumbai marathon, the sixth largest distance running event race globally, Procam International is now extending their dominion from land to the maritime world by launching the Nexa P1 Powerboat, Indian Grand Prix of the Seas. Nexa P1 Powerboat, India Grand Prix of the Seas, is the first of the UIM recognized Grand Prix of the Seas. The 5-tier hierarchal structure will consist of a World Cup at the apex (to be held biennially starting in 2020) the Grand Prix of the Seas series, which will define a World Champion, inter-continental series, national series and regional series in orders of level of competition. With the hum and throttle of engines along the shorelines of Mumbai’s natural amphitheater – Marine Drive – through the weekend of 3rd March 2017, this new sporting paradigm will redefine India’s maritime landscape and spearhead a powerful movement for marine sustainability.